The Reef One biOrb FLOW 30 (8 gallon) is perfect for keeping small fish and shrimp. Its compact size makes it a perfect fit for your office desk or any small space. The Reef One biOrb FLOW is perfect for keeping small fish and shrimp. Its compact size makes it a perfect fit for your office desk or any small space. The new biorb FLOW 30 has a capacity of 8 gallons/30 l. and measures 215.5 x 10.2 x 14.8 inches. It features the same biOrb service kit filtration system, plus an LED light. 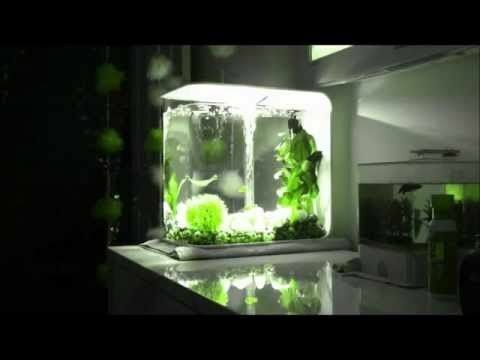 The biorb flow includes: * biOrb Flow 15 Aquarium * LED light * 900g of ceramic media * Air stone * Filter Cartridge * 12v transformer * Low voltage air pump * Water conditioner and beneficial bacteria liquid sample * Fish food * Instructions The biOrb FLOW is available in black or white.